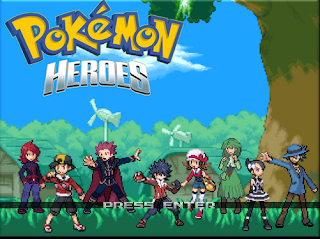 In my last post I said something about a Pokèmon fangame I wanted to write the review about. I also mentioned there were different storylines to follow, thus endings to see, and that I would have needed some time to write a good review. Yesterday I discovered there was no need for extra time. After just 22 minutes of gameplay, I already finished one storyline. Yes and with, the word finished I don’t mean the Demo is over or the new update has to come out yet. After that point the ending credits came up, so that means that my adventure actually ends in 22 minutes. Usually, I don’t review a fangame I didn’t enjoy, but this makes an exception, because despite minor little problems (like the length of a gameplay), I guess this application has some potential. First things first, let’s get this review started. Note: Since the game was briefer than expected, the review would be as well. Language: Portuguese (mainly)/English (Battle screen). To the question Do you speak Portuguese? No, but it’s pretty similar to my native language, so I can understand a written text pretty well. However, if you have no knowledge at all of this language, don’t worry, you can play this game smoothly. This game follows the stories of eight different Pokèmon trainers, all of them appeared in the original games. According to the character you chose, you will find yourself solving different mysteries. The first (and only) important decision you have to take at the beginning of the game is the character choice. There are two trainer classes. I figured this division is based on the ones coming from Johto and the other coming from Sinnoh and Unova. According to the character chosen, the player’s adventure will unfold in different locations. All the adventures are brief, thus the whole game can be played in an hour or two. Not in all the adventures wild Pokèmon will be present while the presence of foe trainers will be more common. Differently from the official Pokèmon games, there aren’t any Gym leaders or evil crime organizations to defeat and the player is already provided a team of different Pokèmon at very beginning (You don’t have any starters choice to make) which are most likely already evolved and at a high level. For example, when I started the adventure with Riley, I already had a formed team consisting in: Lucario (lv.70), Glaceon (lv.60) and Pidgeot (lv.65). No items (exception made for a single Potion in the characters that have a PC in their room) are given. In some cases an NPC will give the trainer one useful for his adventure. 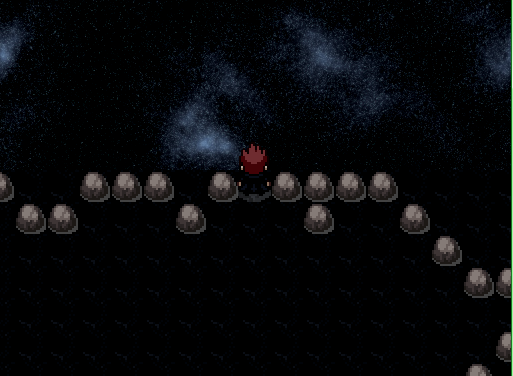 This is the strongest point of the game. As anticipated before, each adventure unfolds somewhere different. We have places designed on purpose for the character (ex. The Enigma Temple for Lance) that are well characterized and developed. "Under the Milky Way tonight..." -cit. 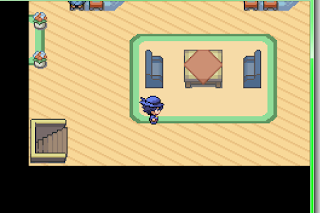 Apart from available players, that would occasionally become NPC characters, there are minor trainers as well. Apart from those, there are no other relevant characters. Exception made for the adventures in which wild encounters are present, the Pokèmon availability is scarce. I guess this choice has its reasons, the game is in fact developed to give importance to the trainers’ story more than the Pokèmon. It may sound strange but it sounds nice to me. Music is taken from the main games. It doesn’t always suits the situations perfectly but I appreciated it. The game initial idea is brilliant, as soon as I saw I could play in Lance’s shoes, I could barely restrain my enthusiasm. This kind of development is well supported by the locations design and gameplay choices. The only black spot, which is pretty disappointing to me, to this game is the brief length of playing time. I do hope this is just a trial, that the developers are still working on it because a longer and a bit more intricate version of the game could turn out extremely interesting. For now, I suggest this game to people who want to try something slightly different that doesn’t take too much time. Follow this link if you want to download the game. I wasn't able to find the creators' page or forum, so if anybody knows, please tell me.